Craft Editions visited the DCCOI Showcase 2017 at the Royal Dublin Society (RDS) held on the 22nd to the 25th Jan 2017. This event, which is organised by the Design and Crafts Council of Ireland, is a chance for trade buyers from around the world to see the best in Irish craft and design. We visited on the Sunday to walk around and scope the many wonderful makers at the event and again on the Tuesday to meet those that we found most inspiring. The Design Ireland section of the Showcase was of special interest to us at Craft Editions as it was a curated selection of some of the very best designers and makers in Ireland today. We are pleased to share with you our selection of some of the makers at this year's event. Cooper Handcrafted Furniture - Ciaran McPhillips is the talent and driving force behind Cooper Handcrafted Furniture. He has known wood and craft from an early age, coming from a family of skilled craftsmen including both his father and grandfather. His grandfather was a master cooper, which has inspired the brand name. Ciaran is base in Co. Monaghan and he designs and makes contemporary furniture using traditional Irish joinery methods and a wealth of woodworking knowledge and skills. Find out more about Cooper Furniture here. Chloe Dowds Ceramics - Based in Co. Wicklow, Chloe makes porcelain tableware, which is thrown on the wheel and then altered. Her work is designed to be tactile and at Showcase 2017 Chloe demonstrated to me how every element of her work is considered carefully in order to enhance the user's experience; the curved shape of her mugs allows them to fit snugly into one’s hands. Chloe mixes her glazes by hand and uses a soft pastel colour palette, taking inspiration from the environment around her. Find out more about Chloe Dowds here. The Tweed Project - At Showcase 2017 we were fortunate to spend time with Aoibheann McNamama and Triona Lewis of The Tweed Project. Through their collaboration they produce a stunning range of beautifully tailored pieces. The collection is made entirely of Irish fabric including vibrant Irish Tweed, much of which is woven by Molloy and Sons of Ardara, Co. Donegal. The Tweed Project operates from a small Atelier in Galway and each piece is hand made to order. Find out more about The Tweed Project here. The Atlantic Equipment Project - The Atlantic Equipment Project designs and produces a striking range of long lasting, high quality backpacks, satchels and carry equipment. The ethos of the brand is inspired by life and adventure on the rugged Atlantic coastline. Founder and designer Ashleigh Smith has a background in Industrial Design and also studied at The Technical University of Delft in the Netherlands. 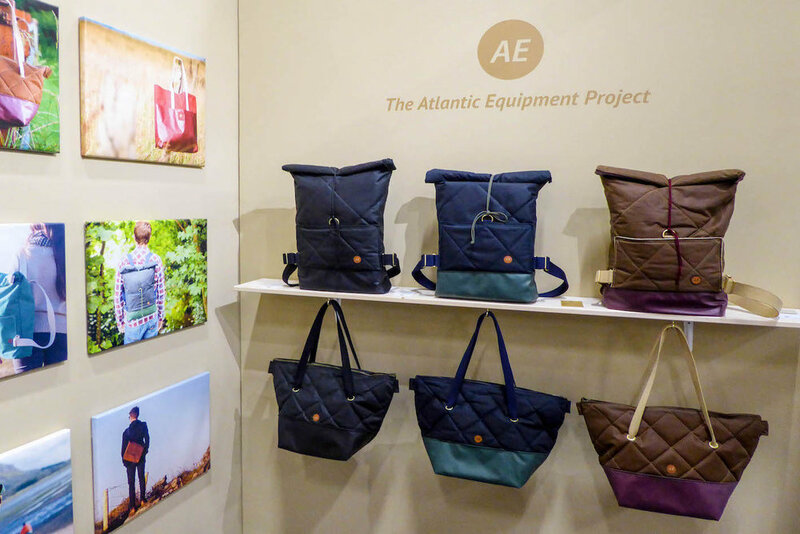 Each piece that the Atlantic Equipment Project produces is made by hand in their workshop in Sligo, in the Northwest of Ireland. Find out more about The Atlantic Equipment Project here. 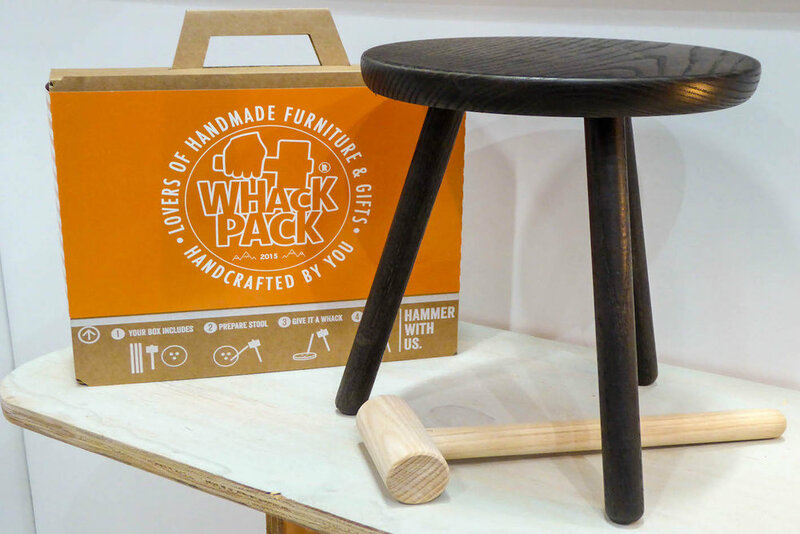 Whackpack Furniture - The wonderfully named Whackpack furniture is based in Co.Monagahan and is a contemporary take on solid wooden craft furniture. Each piece is constructed using a mallet, a wedge and a “good old satisfying whack” to quote Benny Magennis, the maker and personality behind the brand. The Whackpack range began with the Wooden Creepie Stool, which is based on furniture designs that existed during the famine in Ireland in the 19th Century. The ethos of the company is to turn everyone into a craftsman and craftswoman through the process of making their own piece. Find out more about Whackpack Furniture here. Thanks to all the makers for sharing their stories with Craft Editions.